While Cosatu and the ANC are gunning for provincial education MEC Donald Grant to withdraw his intention to close about 27 under performing schools, the department is adamant that only the outcomes of a public participation process can change their mind. Shortly after a press conference called by Cosatu to condemn the Western Cape Education Department’s (WCED) decision to close 27 schools in the province, Grant held a media briefing in which he said the final announcement on the matter would be made at the end of September. Grant said he would not engage with Cosatu nor Sadtu on an individual basis, but they could submit their views through the public participation process. Grant made the announcement to close the schools late last month, but opposition from the Schools Governing Bodies and the South African Democratic Teacher’s Union (Sadtu) to the plan only surfaced recently. The department’s reason for the closures is due to decreasing learner numbers at these schools and the low standard of learning and teaching occurring there. “We would be crazy to close a school if we did not have better opportunities for those learners,” said Grant, adding that “the final decision to close a school rests with me”. Provincial education Deputy Director General John Lyners said the affected schools have been given the opportunity to make representations to the department in relation to the proposed action and Grant “would consider all the representations made”. He said in most instances the number of learners at each of the threatened schools was fewer than 40. Although Grant said he had followed “due processes and consultations” when he took the decision of a possible closure, Cosatu’s Tony Ehrenreich said there had been no consultation. “We are going to fight for our children’s future by keeping the schools open. 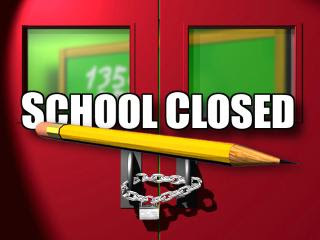 How do you close the schools in the middle of the year? Where do you expect the learners to go?” asked Ehrenreich. Sadtu chairperson Bongani Mcoyana said closing the schools would be a “serious blow” to education in the province. He said after the schools received the letters Sadtu approached the ANC to debate this matter, thus there was an agreement to oppose the closure of the schools. He said “those who ensured that apartheid was alive, are now ensuring apartheid is brought back”. ANC provincial chairperson Marius Fransman said his organisation supports Cosatu, Sadtu and governing bodies in opposing the closure of the schools.